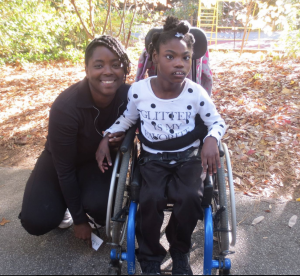 For over 25 years, the consistent mission of the Fragile Kids Foundation was to enhance the quality of life and well being of children with support, supplies and prescribed medical equipment not covered by Georgia Medicaid or private insurance for Georgia’s medically fragile children living with chronic illnesses, genetic and traumatic disorders and orthopedic and neuro-muscular challenges. In 2017, Fragile Kids Foundation merged with FOCUS so we can better provide this full range of services to our children in need. Parents or legal guardians of a medically fragile child, age 21 or younger, who is a legal U.S. citizen with a primary residence in Georgia may apply for Equipment. Each application is reviewed by a Medical Review Committee that meets four times each year. FOCUS + Fragile Kids may grant equipment to families at no cost, or may loan equipment for an extended period for a $25 usage fee. Approval Process: Applications are reviewed by our Medical Review Committee, usually quarterly. Applications must be complete to be eligible for review. If a family’s application is approved, it may take up to 9 months for funding to be released. Once funding is released, FOCUS + Fragile Kids will pay the vendor directly. Families are never paid directly. Application are accepted at all times. Medical Reviews are usually quarterly. Van Lift or Conversion Grants: FOCUS + Fragile Kids may cover up to $5,000 for van lifts and conversions. Families should apply using the Equipment Grant Application (below). FOCUS + Fragile Kids will only consider lifts or conversions for vans with less than 90,000 miles. To Apply for a Grant: Families should complete a grant application and submit with all required documentation (1040, quote from a vendor, letter of medical necessity). Applications should be mailed to the FOCUS office, or scanned and emailed to [email protected]. Please do not fax any applications or paperwork. For more information on our Equipment Program, please contact Angie at [email protected] org.